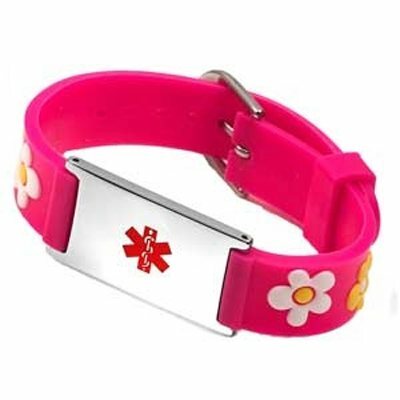 Our fun Girls Flower style latex-free PVC bracelet is laser engraved FREE on the back of the stainless steel medical tag with your child's custom medical and emergency information. Band is waterproof. Take caution in chlorinated pools as this may damage enamel emblem. Bracelet is fastened by a buckle and adjusts to fit wrist/arm sizes 5 - 6-1/4 inches. Fits Wrist Sizes: 5 - 6-1/4 in. Sizing: Measure carefully! 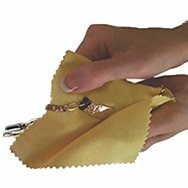 Measure wrist/arm where your child will wear the bracelet. Please do not order if wrist/arm size is NOT listed here.